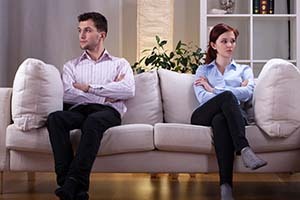 When a divorce looms on the horizon, the nightmare for parents can be a drawn-out and expensive process that seemingly goes on forever. But the divorce process is very stressful for children as well, due to the enormous amounts of uncertainty. Kids are creatures of habit, and divorce can change with whom they live, where they go to school, and how they spend holidays and vacations. In some divorces, both parties harmoniously come together to decide child custody, visitation, and splitting assets and debts. But that doesn’t always happen, and if the parties can’t reach an amicable agreement, divorce litigation can become a necessity. It’s true that litigation can become expensive since you’re spending more time working with your divorce attorney and appearing before a judge in court. But in some situations, it’s the best possible way to craft a divorce or separation agreement that’s favorable to you. Your situation might feel hopeless or seem enormously complex. No matter what kind of divorce you’re facing, contact the family law experts and Fredericks and Stephens, P.C. for help. Our attorneys can represent your interests effectively and with intelligent use of aggression in order to give you the best chance of a negotiated settlement. Due to the size of our firm and over 40 years of experience, we’ve got the resources and knowledge to handle any litigation case in a manner appropriate to your needs.